The SFT is back with three wonderful stories--a futuristic take on an ancient story, a soldier with a choice, and trauma in the ER. We hope you enjoy! WHAT MADE THESE STORIES STAND OUT TO US? We chose these selections because they are tightly written, well-edited, and show creative innovation. The authors were willing to work hard to get the technical aspects right, as well as the storytelling mechanics. These curated stories will appear today in the SFT Library. Our selections this week are listed alphabetically by username: “Too Much of a Good Thing,” by @creatr, and “Comfortably Numb,” by @negativer, and "Motherhood," by @tinypaleokitchen. A son takes his father’s word for everything. He never questions, just goes along. But public ridicule has reached fever pitch, and in this world of field generators and digital anti-noise audio, mockery can be heard round the globe. As the first drops of rain turn dry earth to mud, he wagers everything he knows and loves on the possibility that his father is right after all. This might be the end of the line for Noah. But with one of the people who tried to kill him—and might have succeeded—mercy might be the only language they can share. When everything in the world has been taken away from him, can Noah find one more thing to give? It starts like any other day in the hospital radiology department, but everything changes when a critical trauma patient arrives. The case hits Minnie hard, because she’s just starting her journey as a mother, while the woman whose son is on Minnie’s table may soon face the end of hers. The SFT is always accepting donations to support talented fiction authors on Steemit. Please send SBD or Steem gifts to @sft. 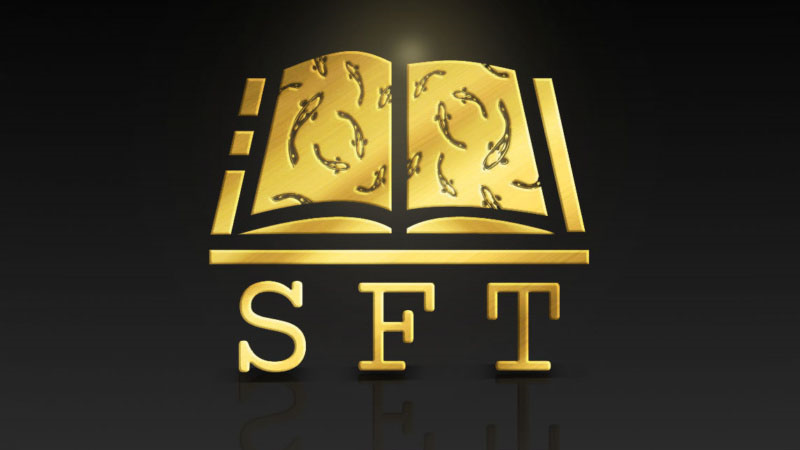 You can also support the SFT by following our curation trail or purchasing a Steemshelf. All Steemshelf monies go to @sft. Our curators take no percentage. They are volunteers, and often donate SBD themselves for author rewards. This curation trail was conceptualized by @andrewgenaille, @rhondak, @mk40, and @swelker101. Logo created by @pegasusphysics. If you would be interested in lending your support through delegation, please contact @swelker101. Thank you for selecting my story! You folks have very high standards, and the stories chosen here reflect that. I enjoyed the other selections as well, and they reflect well on your standards. Thanks! I am humbled and very appreciative to have been selected for curation. A hearty "Thank You" for this honor, and I want to reflect much credit to The Writers' Block for the outstanding assistance I received from the amazing editors there. My story is far better for that help. This is amazing and as always, very humbling. Thank you! Excellent stories, as usual. Authors, you should be proud. I am certain we will see more awesome stories from all three of you! Fantastic lineup! Love every one of these. Incredible stories from incredible authors. I know two of these authors and have just met the third at the block. I'm happy to see them recognized; fantastic pieces featured here. Also, compliments on your obvious skills in writing attention grabbing blurbs. Excellent choices this week! Congrats!